Wake up for refreshing travels at The Westin Philadelphia. We invite you to be your best while on the road thanks to our hotel's WestinWORKOUT Fitness Studio, stylish accommodations and modern meeting spaces. Situated between Philadelphia City Hall and Rittenhouse Square, our Center City location makes it easy to explore the area. Premier attractions like the Liberty Bell, Independence Hall and the Constitution Center are just moments away, while upscale shopping and award-winning restaurants are connected to our hotel at The Shops at Liberty Place. Winthorpe & Valentine, which offers creative cuisine served in a convivial setting on site, welcomes visitors for breakfast, lunch and dinner. For groups seeking meeting and wedding venues in downtown Philadelphia, make use of our 15,147 square feet of adaptable space, enhanced by nourishing catering options, high-powered AV equipment and professional planning services. 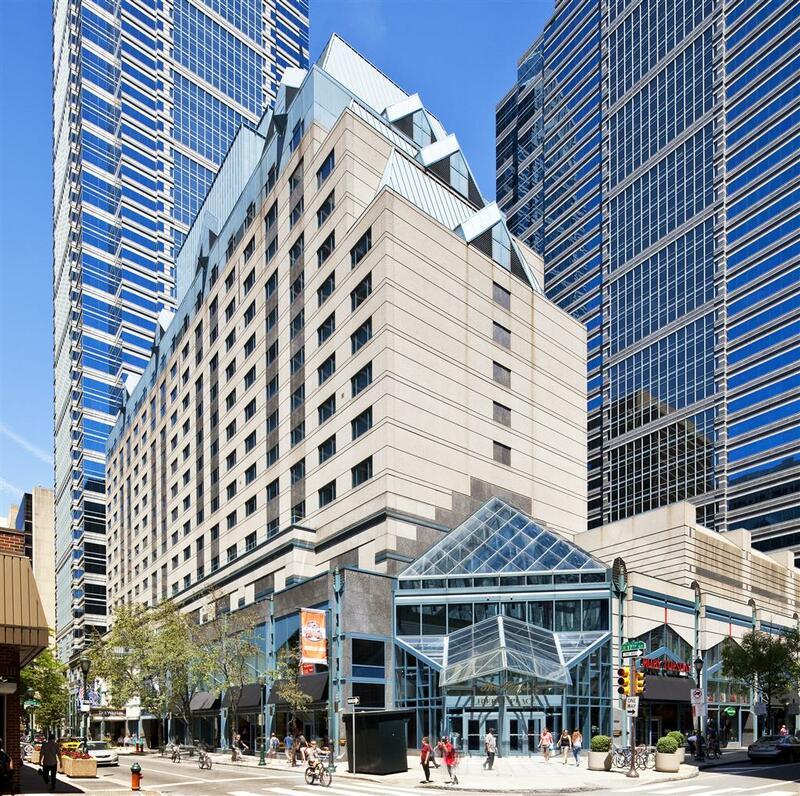 Set yourself up for a revolutionary stay when you choose The Westin Philadelphia. Winthorpe & Valentine: Dine with us in Center City Philadelphia at Winthorpe & Valentine. Located in our hotel, this unique restaurant and bar crafts innovative, eclectic cuisine for breakfast, lunch and dinner.